STEM before Kindergarten? But, how? The acronym STEM gets thrown around a lot these days; especially when it comes to early childhood education. Hooray, now parents and caregivers have something new to stress about—how to introduce STEM to their kids. Before getting too worked up, a lot of what is already occurring when a preschool child plays can fall into a category of STEM learning. With a more intentional focus on the activity, process and the outcome, caregivers can feel confident about the STEM foundation they’re building for their kiddos right from the start. First of all - What is STEM? STEM stands for four areas of learning— science, technology, engineering and math — which are the foundation to future, more complex, study. STEM learning has a real-world focus and builds important skills; some of which include creativity, problem-solving, life skills, ingenuity, resourcefulness, patience and curiosity. Lilian G. Katz from the University of Illinois explains that for young children, STEM involves a lot of hands-on activities, exploration and the encouragement of a child’s naturally curious mind. So, does that mean I need to hop on Amazon and search ‘chemistry set’? By all means, no. STEM learning can be digging in the dirt, exploring a new app on a tablet or visiting a hands-on museum, as much as it can be learning in a formal classroom setting. 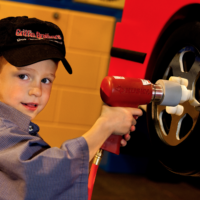 Learning through hands-on discovery is vital for young children. All Discovery Place museums take STEM learning to the next level and can be a satisfying compliment to learning being done at home. 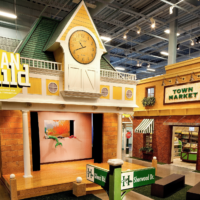 From demonstrations and exhibits to hands-on workshops and knowledgeable staff, Discovery Place museums are a great addition to any child’s education. How can we ‘STEM’ together at from the start? Many parents are looking for ways to compliment their child’s STEM learning. As Bruce Perry, M.D., Ph. D., explains, “When we are curious about something new, we want to explore it. And while exploring we discover.” Finding the right learning opportunity can be as easy as opening the door. Just getting outside of the house can offer a new realm of STEM opportunities. The incorporation of resources like parks and museums add variety; and, leaving home can feel special and celebratory. It is a great way to reinforce positive behavior, like learning. Here are simple ideas for STEM learning you can incorporate today. Science: Baking is a great way to explore science. The incorporation of several different ingredients coming together and using heat to make something totally different is extremely satisfying for children-- in more ways than one. Simple activities like turning dirt into mud or freezing objects in water and watching them melt help teach basic concepts of science. Parents looking for ways to compliment a child’s interest in nature have a friend in Discovery Place. Discover bugs in a backyard dig and then see them larger than life in the Bug Lab at Discovery Place Science. 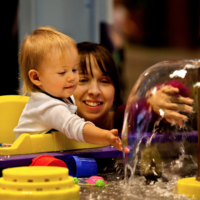 Head to Discovery Place Nature; a venue with lots to offer a curious learner right in the heart of Charlotte. Encourage their new interest in wildlife and butterflies and engage all the sense with a visit to the museum. Technology: Use the tools already at home— computer, tablets, smartphones, etc. Together, caregiver and child can use technology to explore a new app, Google search for answers to questions and watch YouTube videos of science experiments. A great way to bask in a technology-rich environment is at the IMAX Dome Theatre at Discovery Place Science. See technology at work on the largest screen in the Carolinas. Three stories tall, this dome shaped screen has 12,000 watts of surround-sound and a projection lamp that can be seen from space. It is a truly immersive movie experience made possible through the stunning advances in technology. Engineering: Build a tower inside using Legos, tinker toys, k’nex or magnetic tiles. Then, head outside to do the same using sticks, rocks, mud and leaves. Through this type of play, children learn basic concepts of balance, gravity and geometry. 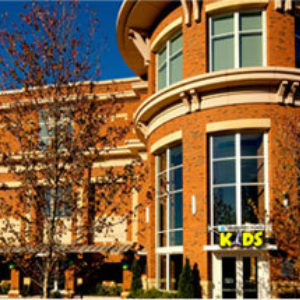 Parents can also compliment a new interest in building with the two-level brick factory at Discovery Place Kids-Huntersville and see their young architect’s ingenuity come to life in the I Can Build. Mathematics: Count it out together. Rote memory serves well here. From the number of carrots on a plate at lunch to sorting like objects and creating patterns— math comes up naturally. Specific activities— sorting objects, creating color patterns— are an easy addition to daytime activities with young kids. The Cool Stuff exhibition at Discovery Place Science offers a unique way to engage with laws of science, mathematics and nature. This really cool exhibit brings life to the natural laws of science which govern the world. Tug-of-war and garbage can smashing are just two of the fun experiments waiting there. Experience rich lessons such as these make for memorable learning. Yes, everyday activities teach children the important, foundational concepts of STEM. In fact, STEM before kindergarten looks a lot like regular play, except for one important element— how it is talked about. Caregivers have an important role in developing vocabulary and identifying skill building in their little ones. Successful STEM learning before kindergarten relies on active interaction with adults who provide a framework for new concepts. Although STEM sounds complicated, much of the play preschoolers do is already exposing them to these foundational concepts. With the right vocabulary and a little intent, caregivers can build a STEM-friendly classroom right at home. Let Discovery Place Kids be your partner in teaching your child about science, technology, engineering and mathematics— all before kindergarten! Consider a membership at our family of museums today.